Returning to downtown Toronto for a thrilling third edition, Hit The Floor is one of the world’s largest multi-style dance competitions. This illustrious event is back by popular demand with an additional full day and a half of programming. 2,000 talented dancers of all ages from over 50 dance schools nationwide will take the stage to compete for $15,000 in cash prizes and scholarships awarded by an esteemed panel of industry judges. The Judges Panel includes Kehlani’s Head Choreographer Antoine Troupe, So You Think You Can Dance season 14 contestant Dassy Lee and So You Think You Can Dance all-star, Newsies and Greatest Showman cast member and award-wining Canadian dancer Alex Wong. 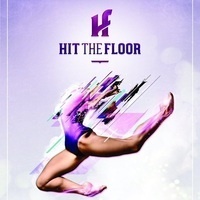 Hit The Floor also offers creative dance workshops with professional choreographers, the highly-anticipated All-Stars Showcase featuring performances by alumni of NBC’s World of Dance and So You Think You Can Dance, and an unmissable public afterparty on the rooftop of Lavelle.